Before we get started, let's give a super shout out to my girl Kim of http://caffeinatedbookreviewer.com/, who lovingly does her weekly meme every Sunday about news, reviews, books and other great info. Now onto our rockin' recipe which includes Whoppers! I haven't tried these cookies, but when I noticed it on Pinterest, I knew I needed to make some very soon! 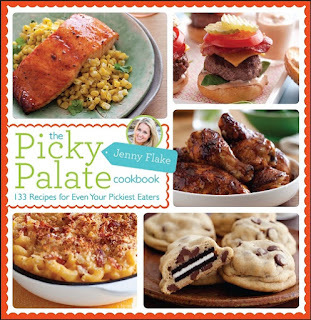 This delightfully decadent treat comes courtesy of Jenny Flake from Picky-Palate.com. (Hi Jenny!) 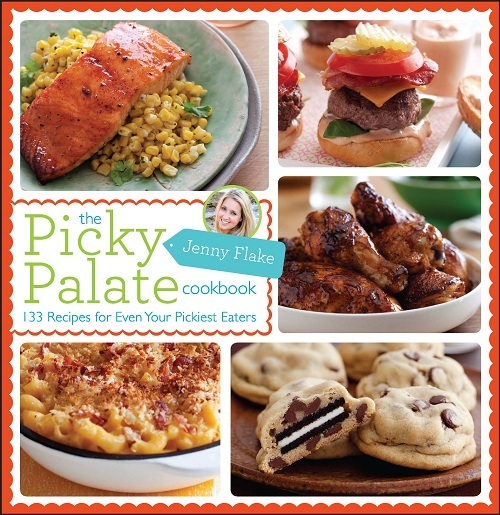 She also has a cookbook that's listed below! 1. Preheat your oven to 350 degrees, and line your baking sheet with a silpat liner or parchment paper. 2. Place butter, cake mix and vegetable or canola oil into a large mixing bowl or standing mixer. Combine all the ingredients until a dough forms. Stir in the chocolate chunks and malt balls. bake for 10-12 minutes until baked through, then let cool placing on a serving tray. Jenny says they are great at room temp, and even better when chilled! The other day I had to pick up some ginger, which helps with nausea, and is a pretty tasty spice that's great in Indian recipes. I stood in line with a cashier who's worked there for about 7 years. You already know there was a hold-up in the line, which happens to me all the time, giving the perfect opportunity (as usual-lol) to chat. The weather during that time of day was about 72 degrees, but the gentleman in front of me had on a coat. The cashier and I talked while she waited for what I thought was a price check for this man for some green beans. We were laughing, and she was still managing to engage with this customer, until the manager arrived. He did something with the register, the man paid for his merchandise, and then left. However, the manager was right on his heels. The cashier couldn't wait to tell me that she tried to think of everything she could to hold this guy's attention until the manager showed up. That coat he had on was stolen, and she had seen him place several items in the pockets!!!!! I paid for my item, and sure enough,right near the entrance, the manager had that man in a room, waiting for the cops to come. I have to be honest and say that I felt sorry for the guy because he was going to jail, and he may have had a family at home waiting for him. Perhaps he needed those things he took. Still stealing is never right. Now because of poor judgment, his friends and family would have to come up with money to get him out of jail. I've met amazing people who are talented beyond belief. They can fix anything, cook gourmet meals, create nail designs, draw fantastic portraits and lots more. 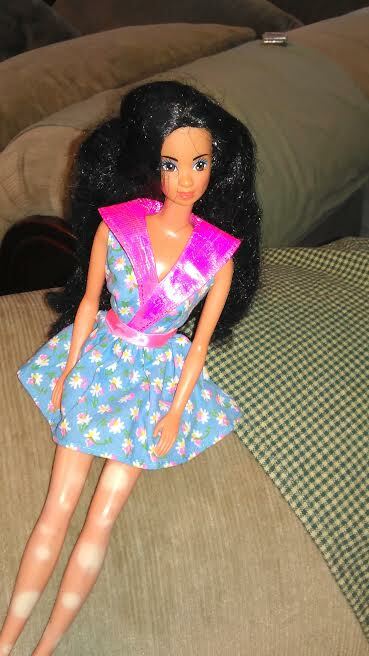 I don't have many talents, but one I can brag about is refurbishing whacked out Barbie Dolls. (lol) Yep, those dolls that you throw out because someone went crazy drawing on their face with a marker, or have matted up hair that looks outrageous, I end up getting FREE or for next to nothing in most instances. Yay! Then I put my superpowers to work fixing them back up with better hair and new clothes. Well...sort of new. 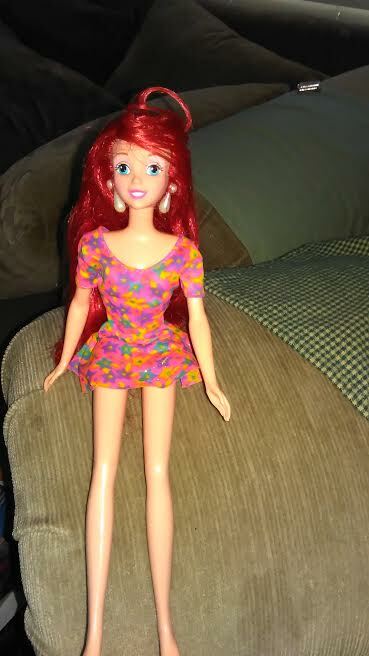 Most of my doll outfits are from 1999 - 2003 and in the package, so maybe it's better to say vintage new. (lol) Some I sell, some I give away to hospitals, but more often than not they end up on display or placed in boxes. 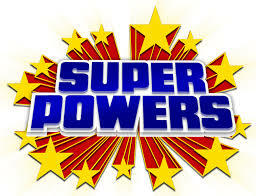 So what's your Superpower? Well that looks curious with the Red Velvet and the Malt Chocolate. Sounds yum! Oh boy, yeah, I've seen people caught shoplifting. Never a good feeling. Yay, love Kimberly's blog, too. I love your Barbie restoration talent. That's cool that you gift some and display some. Have a good week, Ro! Those cookies look awesome! Thanks for the recipe!! Oh I would eat the heck out of those cookies. Noms! Sold, I will take some of those cookies please. Thank for the love and shout out. 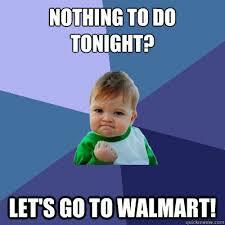 So sad about the Walmart guy. I always wonder too why they steal. So cool what you do with the Barbies Ro, you have a amazing superpowers and a kind heart. I don't think I have a super power but those Barbies are cute. I love the looks of those cookies. I don't know about you not having a Super Power Mary. I thought I was good at finding freebies, but your Superpowers allow you to find way more deals then I can, AND you get to review it! Makeup, Food, bath wash, lamps and more. You go, girl! Now I'm hungry. This is scrumptious. Oh wow, those barbie makeovers are good. hmmmmm, superpowers? I have not thought of them as such. Lets see what am I good at, well I make my own earrings and bracelets - some i gift, some i sell. I take great photos - sometimes i go to events (birthday partie, baptism) and i take photos and gift them as my gitt. i can carry a tune really well, I bake my own breads and cakes and sometimes i gift those as well. lol. well that's some of them. Barbie makeovers!!! That sounds so cool. 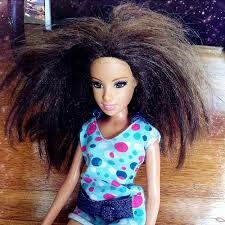 There are so many kids who have Barbies and those things go through some major wear! I know, right? There is the immediate gratification, but then there are the consequences of bad karma. I know many people are in need, but I wish they could try other options, if possible. Yep, I've seen them too. Stealing just for the fun of it. But to me, the chance to go to jail is not fun to me. Yum those cookies really look good! I like ginger in Indian recipes, although I can't eat it plain as it tastes too strongly for me then. That's a great superpower to have and that's so neat you can refurbish those dolls and give them a new life.